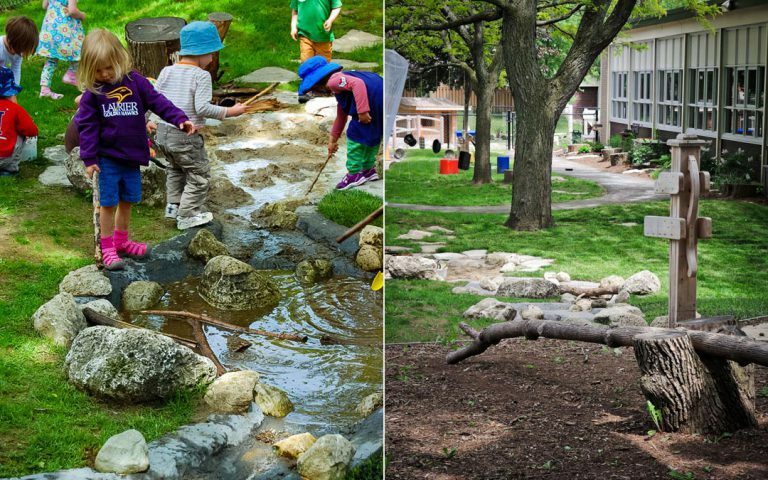 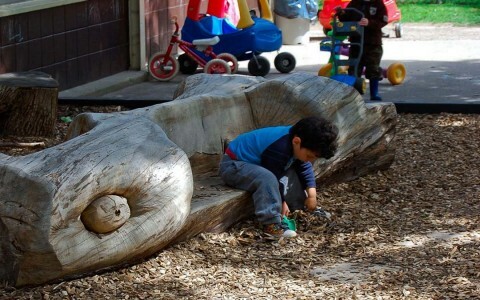 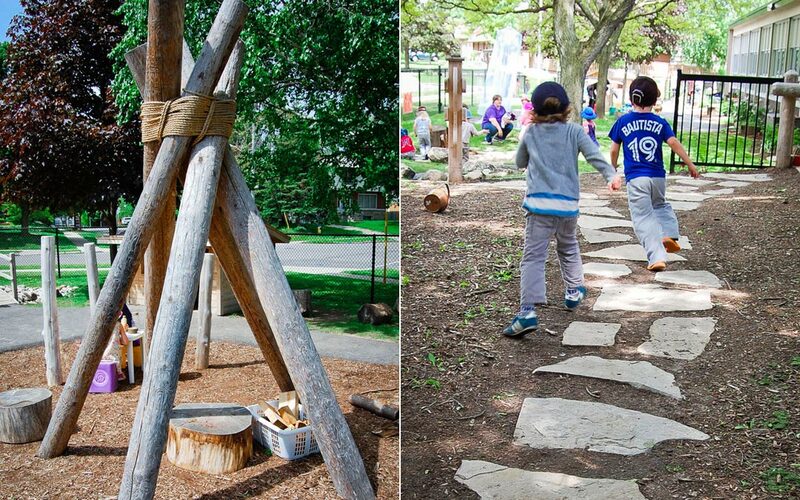 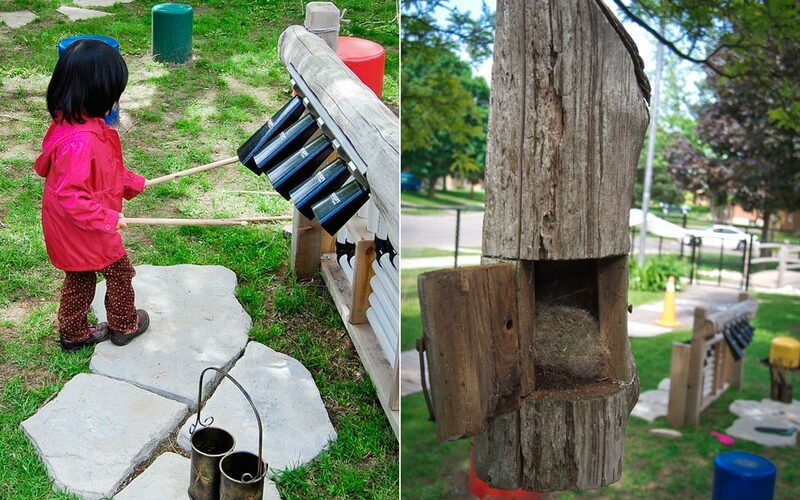 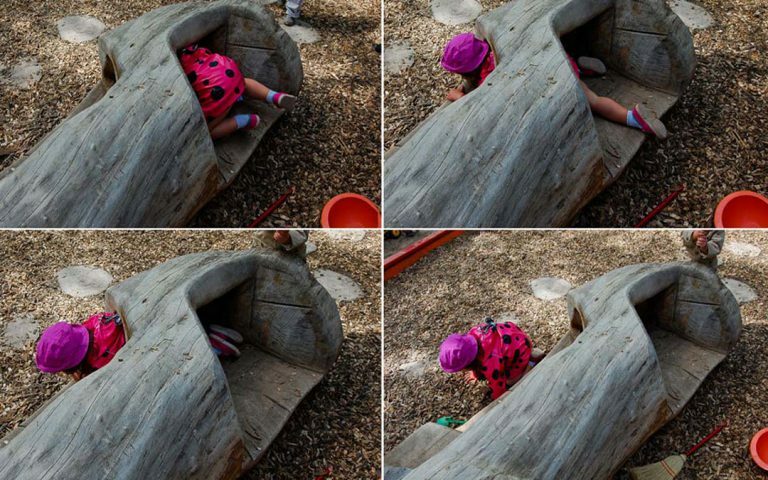 This well shaded preschool space offers an ideal outdoor play experience: the tree teepee inspires imaginative play; a music center encourages tuneful experimentation; garden boxes reveal how vegetables and flowers grow; and a log amphitheater hosts plays and puppet shows. 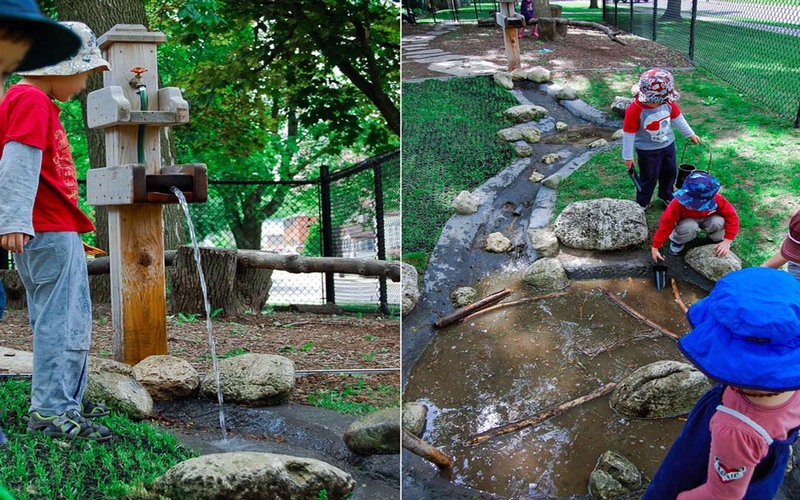 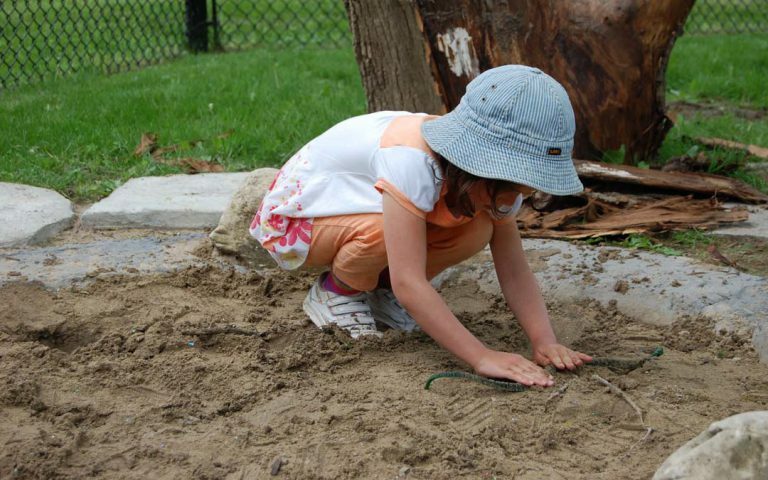 The most popular feature is the three-tiered water play station that attracts children to dig, craft waterways, make dams and configure sand empires …just like being at a beach! The walkway connecting all the features invites fanciful journeys or creative chalk art. 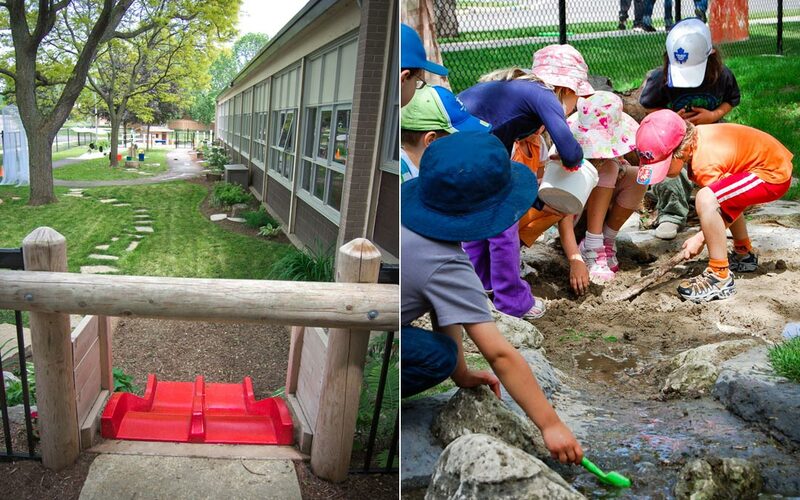 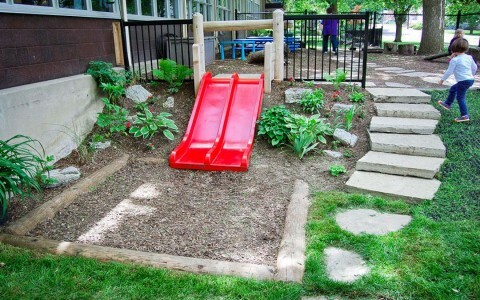 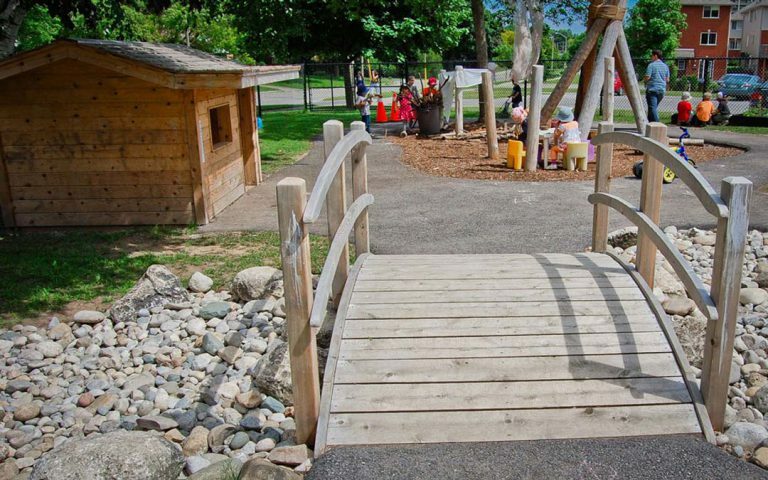 The gardened hill slide, dry-bed bridge, and wavy-bridge encourage little ones to run, slide, jump, and be active.